Bengaluru, Oct 30 (IANS) India will undertake another lunar expedition in early 2018 by sending a lander and a rover to explore the Moon to unravel its origin and present conditions, a top space official said on Monday. 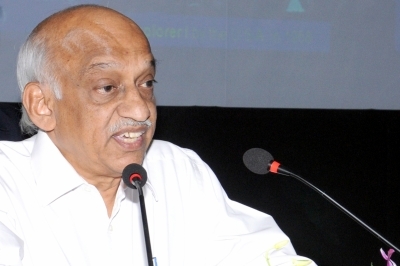 “We are working towards putting an orbiter, lander, and the whole system in the lunar orbit in the first quarter of 2018,” state-run Indian Space Research Organisation (ISRO) Chairman A.S. Kiran Kumar told reporters here. “The orbiter is getting ready and integrated,” he said. “The lander and rover are undergoing tests. Some more tests are planned for December,” the ISRO chief said. The lunar spacecraft will be launched onboard the space agency’s heavy rocket — Geosynchronous Satellite Launch Vehicle (GSLV) Mark II — from the second launch pad of the space port, located at Sriharikota in Andhra Pradesh. As part of integration, the lander and rover would be configured for soft landing at a designated spot on the Moon and to conduct scientific experiments. The rover will emerge from the lander to observe the lunar terrain and relay the data along with images through radio links.